Todd Unveiled A New Contender In His Fight To Stay On Top Of The Game. Todd Land of Phoenix, Arizona, is like most car builders who want to be in the spotlight at the main event where everyone is taking about their ride. 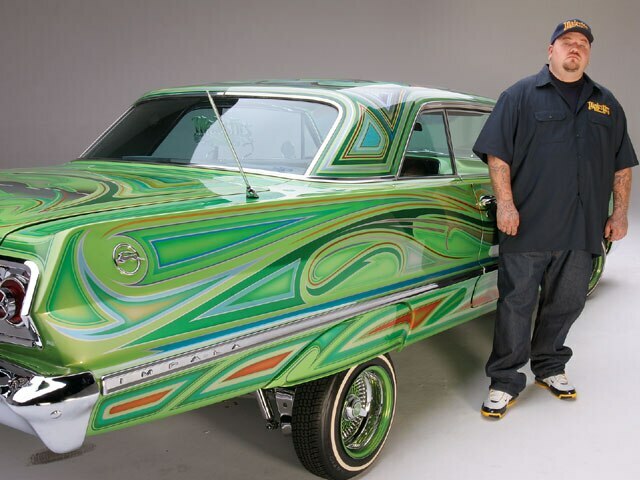 Todd managed to get into the spotlight as his custom ’63 Chevy Impala has caught the attention of several competitors. Todd owns Street Life Hydraulics in Phoenix and this Impala was squeezed into the shop’s schedule and put together over a 12-month period. 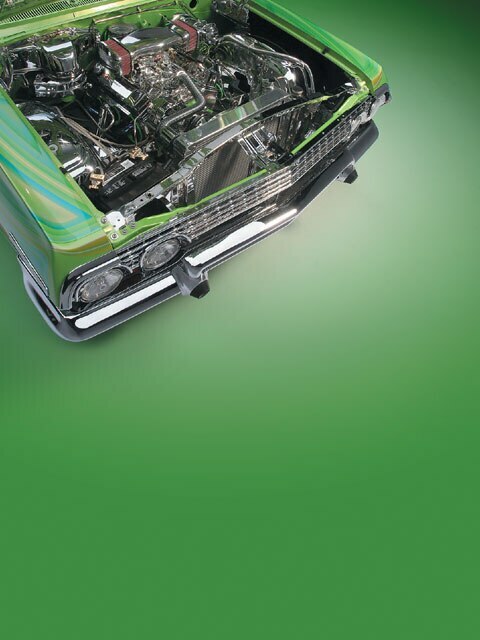 The build was done between lowrider projects as Street Life is known for building quality hydraulic competitors as well as full turnkey lowriders. Todd started off by buying a clean stock Impala that was taken apart and completely redone. Owning a hydraulic shop meant that the frame would be getting fully wrapped and left ready for paint or powdercoating. The body was taken to Tony and Gino at “The Shop,” who prepped the whole car from the metal foundation to the primer. “Doc” of Majestics C.C.-Compton chapter was flown in to lay out an intricate paint job that took several rolls of tape. After a few days, the car was left ready to be buffed out and put back together. Todd used the shop’s chrome connection to plate all of the car’s undercarriage and various exterior pieces. Mike of Kerr West made sure that all of the trim had a shiny show finish. The car was now ready for hydraulics. 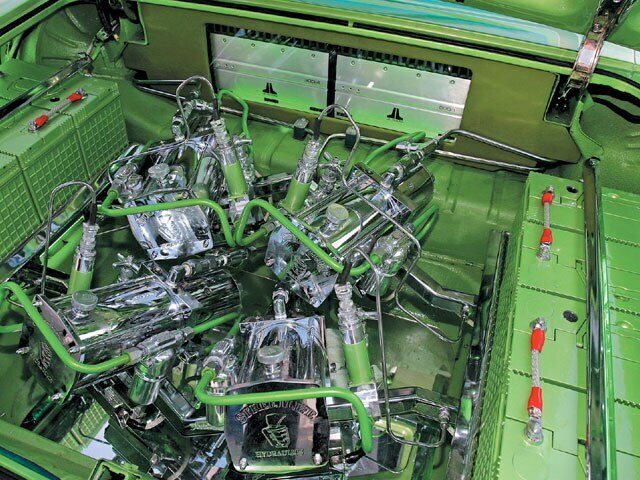 Leonard-or “Da Vinci,” as he’s known for all of his hydraulic masterpieces-installed four Street Life pumps, four Adex dumps and hard-line tubing to dress up the setup that was bolted down in the center of the trunk. The engine was gone through and a monster cam was dropped into the 383-c.i.d. small-block. The engine also received a turbo 350 transmission that added another gear over the stock Powerglide transmission. With the engine compartment dialed in, Todd’s interior was the last thing that needed to be worked on. Todd had the interior done by David the shop upholsterer, who re-wrapped the interior in gray. 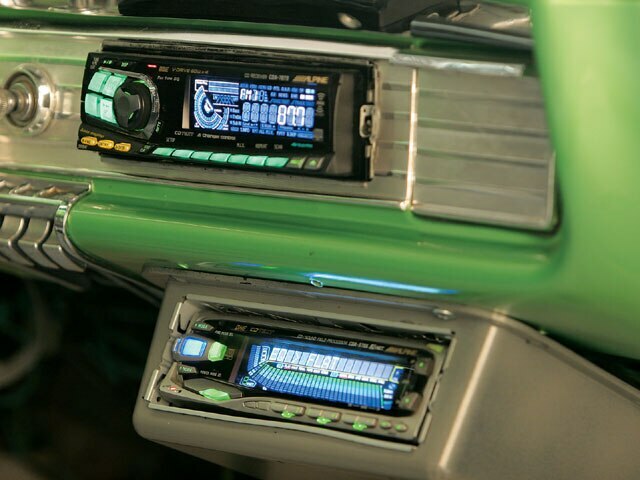 Dave worked around the sound system installed by Ben of Cardinal Car Stereo in Phoenix. “Main Event” was a good build for Todd as this clean ’63 broke up the string of hoppers that his shop turns out. Even though Todd’s only 29, he’s been riding for about 13 years. He loves the sport and if he’s challenged or invited to an event he’s there. Todd’s currently working on a new project and we hope to see it completed soon. Engine/Drivetrain: A 383-c.i.d. stroker engine was gone through and a monster cam was added. The engine also received a turbo 350 transmission. 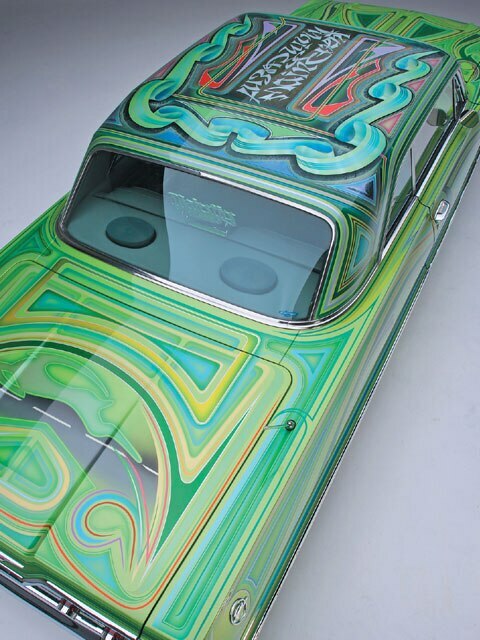 Body/Paint: Several House of Kolor pearls were laid out over a green base by “Doc” of Compton, California. Interior: Todd’s upholstery man David stitched up a gray leather with cloth insert combination to give the interior a modern look. Sound System: Ben of Cardinal Car Stereo in Phoenix installed JL Audio speakers and amplifiers controlled by an Alpine head unit. Setup: Four Street Life pumps, four Adex dumps, four OG filters, faucet slow-downs, were all plumbed in hard-line tubing by Leonard AKA “Da Vinci” at Street Life Hydraulics in Phoenix.